1 What is atrophic gastritis? Atrophic Gastritis, characterized by chronic inflammation and thinning of the stomach mucus membrane, occurs when its gastric glandular cells are damaged, lost or replaced by intestinal or fibrous tissues, either due to an H.pylori bacterium infection or a mistaken attack of the immune system on the stomach cells. Consequently, there is no more formation and release of essential digestive secretions such as hydrochloric acid, pepsin and the glycoprotein intrinsic factor. As a result, the body is rendered incapable of absorbing vital minerals and vitamins. Lack of iron can cause iron deficiency anemia and vitamin B12 deficit can cause megaloblastic anemia. In the long run, it can even lead to cancer. It is the final stage of chronic gastritis and is seen to affect nearly 20% of people aged from 60 to 69 years, and 40% of people above 80. Type A or autoimmune atrophic gastritis develops when the antibodies produced by the body erroneously attack and destroy the stomach cells. When they attack the intrinsic factor, they cause pernicious anemia and profound hypochlorhydria. It is also called autoimmune metaplastic atrophic gastritis or AMAG due to the changes brought about in epithelial cell types. AMAG typically affects the gastric corpus and fundus or the upper part of the stomach. 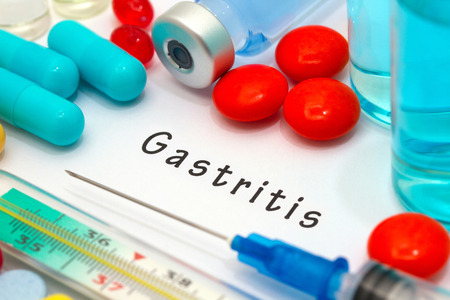 Type B atrophic gastritis is multifocal and is formed when the H pylori bacterium causes an infection in the antrum and oxyntic mucosa of the gastric body and stomach. Also induced by environmental factors as diet, it is referred to as environmental metaplastic atrophic gastritis or EMAG. 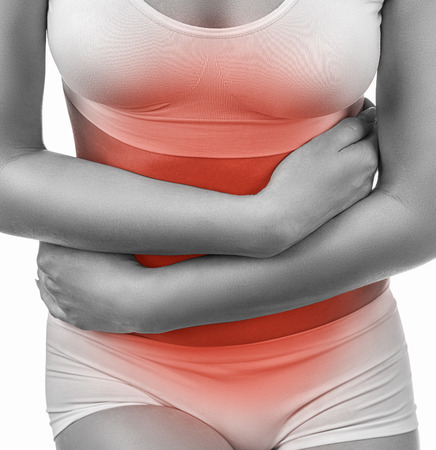 A burning and stabbing abdominal pain that is infrequent but lasts for over a month. This is followed by an unwillingness to have food. The progression of the disease may manifest in symptoms as belching and indigestion which may simultaneously suggest the development of gastric or peptic or duodenal ulcers. 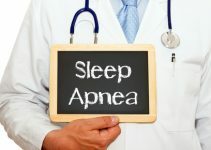 Nonspecific symptoms such as dyspepsia or anemia symptoms such as weakness, headache, heart palpitations, dizziness and tinnitus or a ringing sensation in the ears. Light headedness, shortness of breath and lethargy due to iron deficiency anemia. However, in older people folate synthesizing bacteria may form additional folic acid which can in turn conceal the symptoms of the vitamin insufficiency, thus delaying the diagnosis and leading to fatal results. Type A chronic gastritis that is more prevalent in women than men is caused due to the diffuse atrophy of parietal cells by immune reaction. To be more specific, the cell’s H/K – ATPase molecule is the target antigen that undergoes CD4+T cell induced immune reaction and leads to the growth of T-cells, cytokines and auto antibodies. However exact causes are still unknown. Type B atrophic gastritis that results from H.pylori infection is a frequent phenomenon during childhood. It is caused if you eat from contaminated utensils and consume the bacteria present in the food or fluid. If kept untreated, it may worsen with age. Other possible causes involve a direct association with feces, vomit or saliva of an infected person. Congested living quarters and unhealthy sanitation. Greater incidence of Sjogren’s syndrome as it increases the chances of chronic atrophic gastritis. Hypochondria caused due to an attack on the intrinsic factor may lead to gastritis cell hyperplasia (abnormal growth in the number of cells). When the hormone gastrin employs a growth effect on the ECL cells, (a type of neuendocrine cells present in the gastric mucosa) it may cause ECL neuendrocrine cell hyperplasia, which may finally lead to carcinoid tumors in AMAG. EMAG may involve the risk of having gastric carcinoma, achlorhydria and Hashimotor’s thydroitis. The doctor may begin by asking about your family’s medical history and then look for symptoms like pale skin or rapid pulse rate to detect B12 deficiency. For type B gastritis, the doctor may lightly press certain points around your stomach to check for bloating and tenderness. Blood tests are then recommended for both. But for type A gastritis, the blood test may detect anemia which can be microcytic (iron deficiency type) or macrotic (vitamin B12 lacking type). The tests may also point out antibodies responsible for stomach cell and intrinsic factor impairment. In case of type B gastritis, serological findings may detect low pepsinogen levels and high gastrin levels or gastrinoma. Since an acute form of the disease cannot be detected by blood tests, the doctor may also do a biopsy, instilling a long and flexible tube called an endoscope down your throat and deep into your stomach, to collect tissue samples. They are then analyzed to check for the presence of infections, gastric mucosal atrophy, cancerous cells and other traces of inflammation. The doctor may also conduct upper gastrointestinal barium x-ray radiography to detect gastric carcinoma and fluoroscopy to check for decreased or absent fundal folds. Pernicious anemia with increased frequency of HL-A7 and HLA-3 haplolytes. There are two distinct steps involved in the treatment of AMAG. To reduce anemia, you may be given iron tablets or vitamin B12 injection. In case of early detection of carcinoid and carcinoma in stomach, there is endoscopic surveillance of the gastric mucosa and finally evaluation and eradication of carcinoid nodules. EMAG is generally treated by eradicating the H.pylori infection by means of antibiotics such as proton pump inhibitors (PPIs) and rantidine bismuth citrate. Proton pump inhibitors such as omeprazole or nexium reduce the acid and the bismuth helps in killing the bacteria. To determine whether you are responding to the treatment or not, you may be advised for a close follow up with tests to check vitamin B12 levels. Although it may get better with proper treatment, there are no reports to indicate that the condition is reversible. The doctor’s prognosis may entail to avoid certain foods that are spicy, fried or fatty or contains gluten. Alcohol consumption is also not recommended as it tends to increase inflammation. Presence of ginger, mint, and cumin seeds in diet can lessen nausea and help the digestive process. You should also look for means to manage stress as it is detrimental to the symptoms of atrophic gastritis. This may involve exercise or meditation. Certain homeopathic medications claim to resist the symptoms but there is no evidence to prove that they actually work. The ICD -9 –CM code used for this disease is 535.1 while the ICD -10 –CM code used is K29.4.